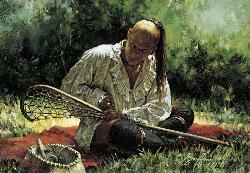 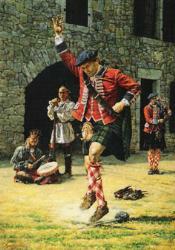 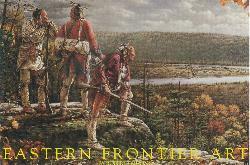 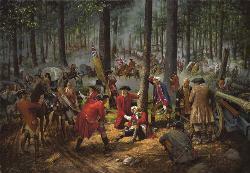 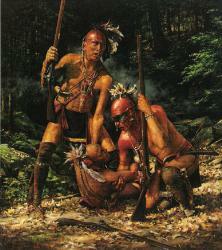 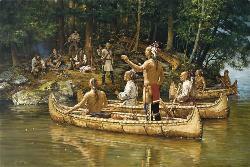 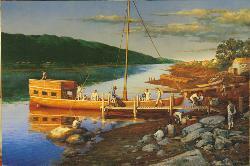 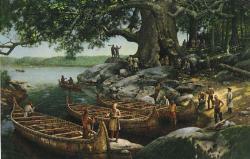 Painter of 18th Century that feature the Eastern Woodland Indian. 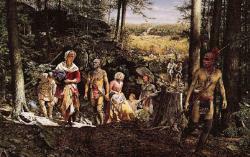 His paintings focus on the years of chaos and uncertainty for Woodland tribes as they struggled with the encroachment of Europeans. 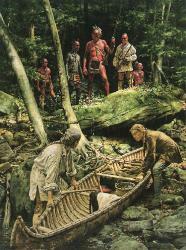 Robert Griffing grew up in Linesville, PA where he roamed the fields and beaches around Pymatuning Lake collecting stone artifacts, the key factor for his love of history and native cultures. 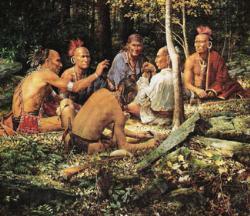 After graduating from the Art Institute of Pittsburgh and a thirty year advertising career, he returned to the subject of his early fascination, the Eastern Woodland Indian of the 18th century. 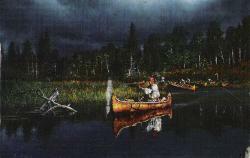 He describes himself as a painter of the Woodland Indians and focuses on a time that marked the beginning years of chaos and uncertainty for the Woodland tribes as they struggled to survive the encroachment of Europeans. 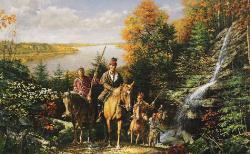 Paintings depicting Forts Duquesne and Pitt, the Braddock Expedition, the Battle of Bushy Run, The Taking of Mary Jemison, and over 30 other historical scenes have made Griffing a household name in the frontier circuit. 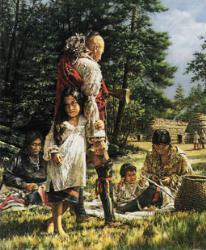 He hopes that his paintings shed some light on this time period that has been neglected through societys romance with the American West.